Call attention to your stylish event when you create custom invitations with our Elegant Weave invitation card design template. Available in three color schemes, Elegant Weave is perfect for either personal or professional social dinners, parties, restaurant grand openings, and other occasions. 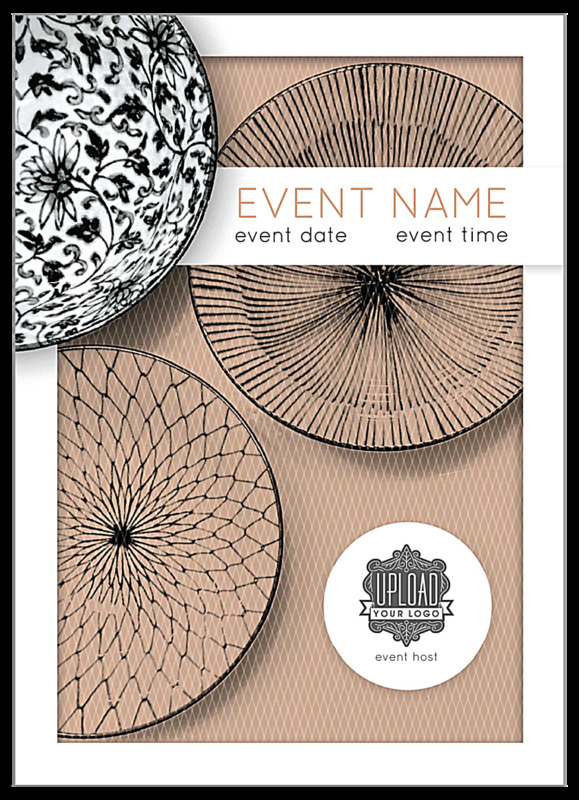 On the front, Elegant Weave displays your event name and date in a white border over a beautiful weaved plate graphic. 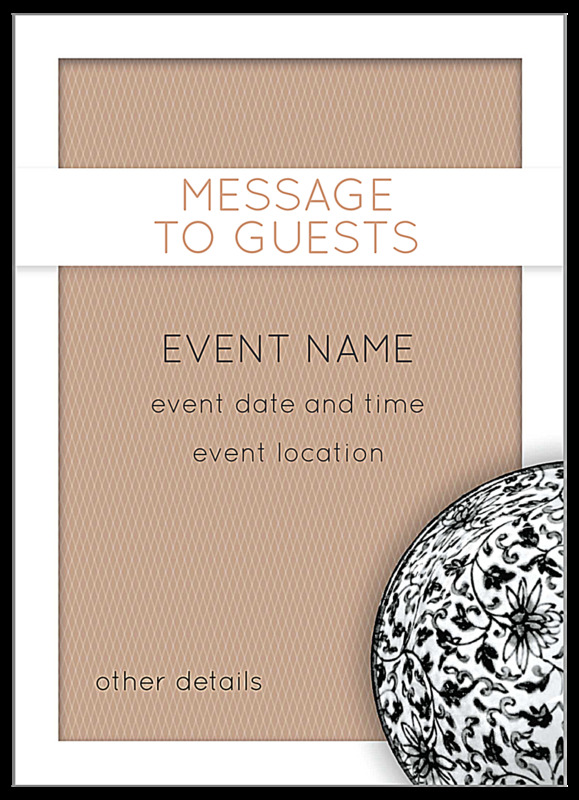 The background is duplicated on the back, which features your event details and whatever message you’d like to share with your guests. Best of all, you can customize the entire design to make your event stand out. Increase attendance at your event by creating custom invitation cards online today. Make customized invitations in just minutes with our online invitation card maker. Start with one of our professionally-designed invitation card design templates, then follow the step-by-step on-screen prompts to create a unique, custom design that will impress your clients and friends. You can pick your color palette and add your custom text, logo, or whatever you want! You can even share your design with team members by downloading a free PDF before you print your custom invitation cards. Our 100% customer satisfaction guarantee lets you know you made the smart choice by choosing PsPrint as your online invitation card printing partner. Premium paper stocks, vibrant soy-based inks, and state-of-the-art printing presses ensure that you will be thrilled with your finished printed invitation cards every time. Want something different? We carry other invitation card templates, including categories for fundraiser, celebration, thank you, and more. If you’re looking for greeting cards, check out our online greeting card maker and our line of greeting card design templates. And, if you need assistance, our custom printing team is available to help every step of the way.